The Philippe Villa Trio delivers modern jazz with a contagious swing and a trendy groove. A great melodist, piano man Philippe Villa will carry you along with the moving music that he creates. Fabrice Bistoni on bass gives solid and creative support to the band, while drummer Gérard Juan is ever present, sometimes subtle, sometimes very intense. Feel the cunning complicity of this trio as they draw you into a whirl of intoxicating emotions. 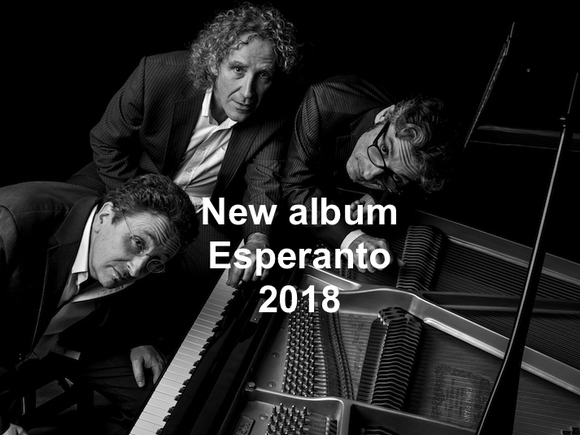 After “Souffle”, their first album which received an award at the Sète jazz festival, since 2014 the band has been presenting the pieces in new album “Second Souffle”, sponsored by SACEM, the Society of Authors, Composers and Music Producers, which recognized the musical talent of the trio (“Second Souffle” was part of the SACEM hit list 2015), and by Spedidam for its American tour in March 2016. The Philippe Villa Trio is riding the wave and continues to enrich its repertoire with original creations. Philippe Villa still surprises us and explores new sounds which give drive and dynamism to his compositions that take us to yet unexplored regions.